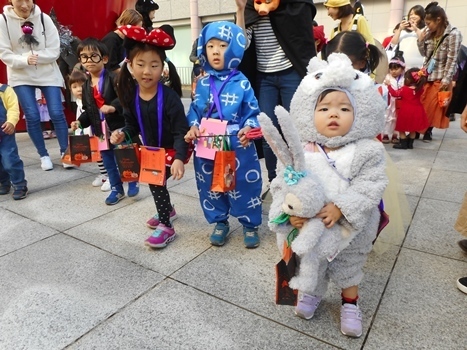 After the parade, the kids were divided into three groups and were asked to find monsters and characters in different spots with their parents. 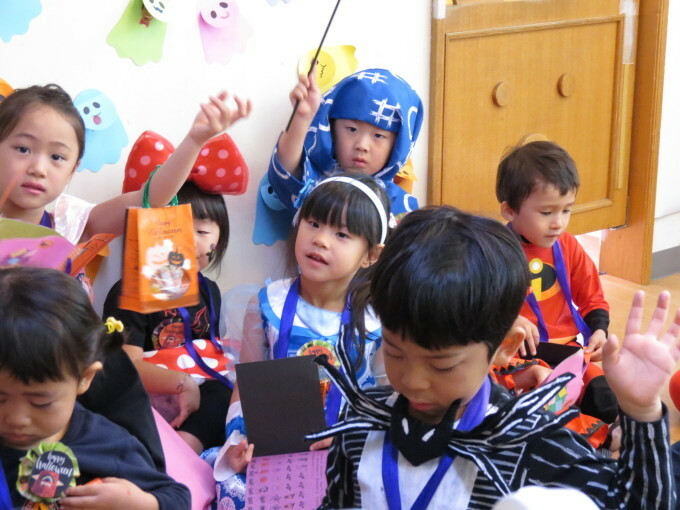 Each rooms had different theme: Plus Up = Monster House / Butterfly Class = Alice Room / Caterpillar Class = Cute Monster House. 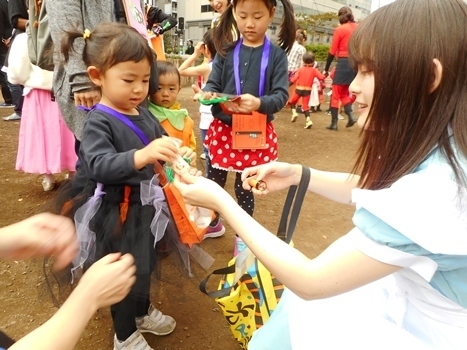 Once they got inside the rooms, the kids got excited and carefully looked around the area to find the spooky things. They checked behind curtains, looked at the ground and even took a look at the ceiling. Guess what they found? Witch, mummy, skeleton, monsters and so many other characters! That's incredible! 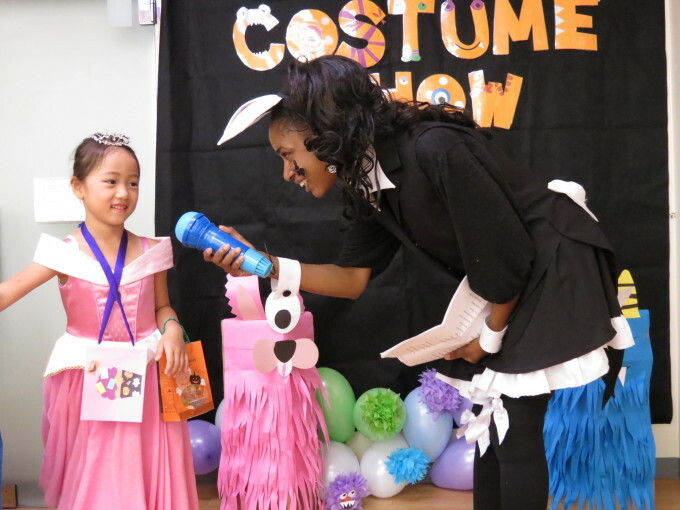 Also in the Cute Monster House, a costume show was held for the kids. 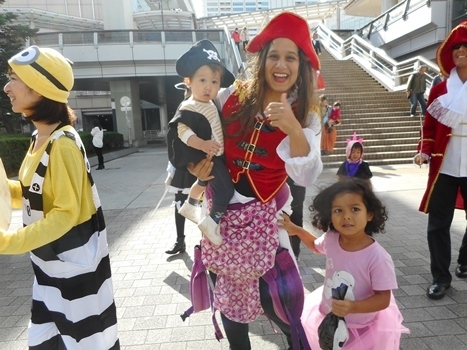 One teacher took pictures of them and another one asked them questions about the costumes that they were wearing! 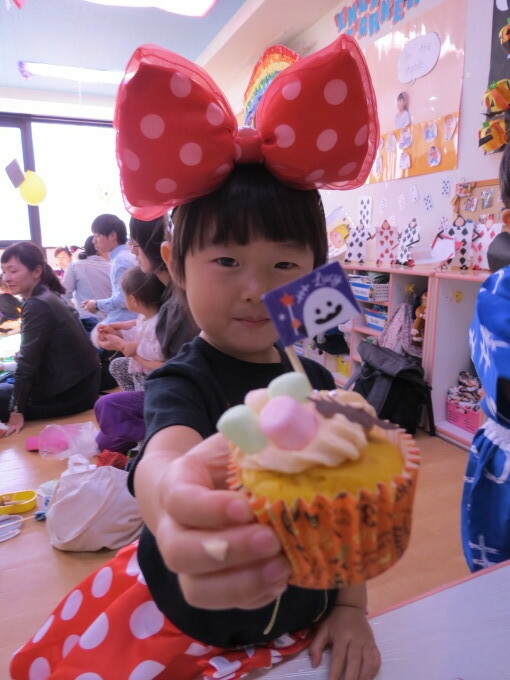 After all the activities, the kids and their parents ate lunch together and decorated pumpkin cupcakes. They nicely added whipped cream, marshmallows and silver pearls on the top of them. Good job everyone and thank you for coming to the Halloween event! We had a wonderful time with you and we hope to see you again next year!